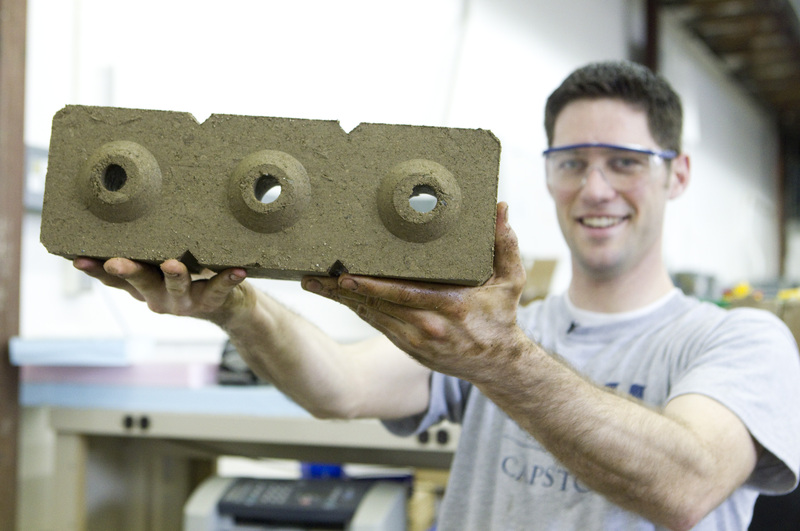 For our senior-level capstone project, my team and I developed an improved interlocking brick for use in developing countries. 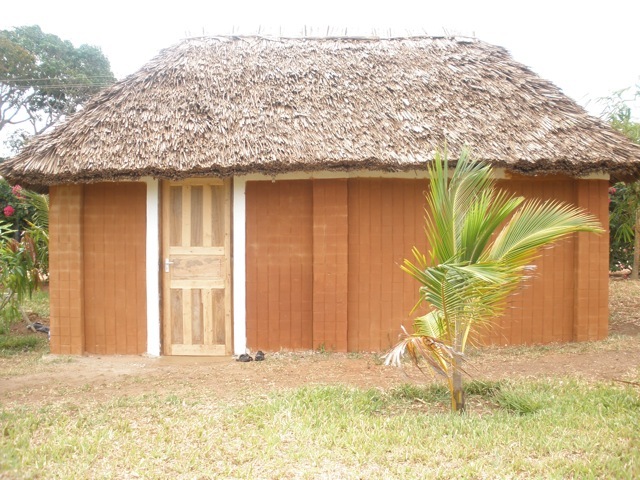 When used for houses smaller than 30’x30′, it may reduce the cost of construction up to 30%. Our team consisted of Joey Kent, Emily Savage, Stanton Woods, and me. 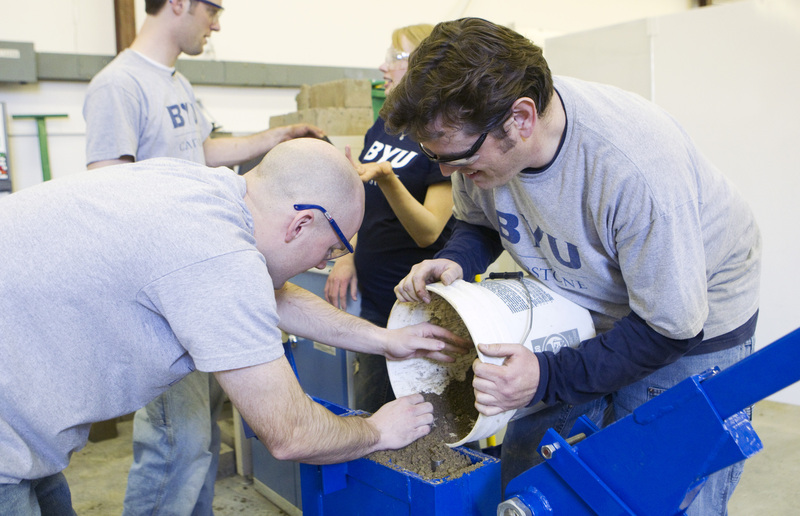 Our project received a lot of attention in the local media (BYU home page, The Daily Herald, Deseret News, BYU Magazine, Diversity and Commerce) and can be still seen in the BYU capstone projects page. The project aims at improving the housing conditions for impoverished Keyans by bringing the cost of home construction down. 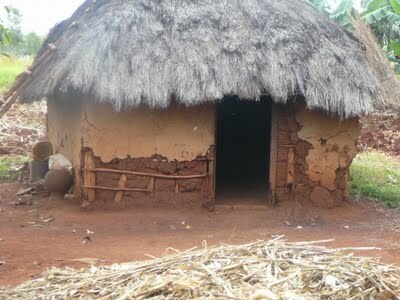 Many Kenyans still live in wattle and daub huts (basically sticks and mud, see below) which must be rebuilt every 1-3 years. Already existing methods (both soil blocks and brick) put the cost of a small home at about $2000. Most of this cost is due to cement powder. 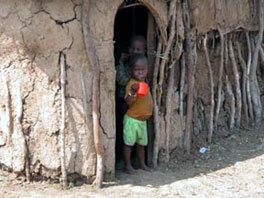 But this is often too much for people who are on subsistence living. In the hopes of building a new home, women will often stockpile bricks over many years until they have enough to build. 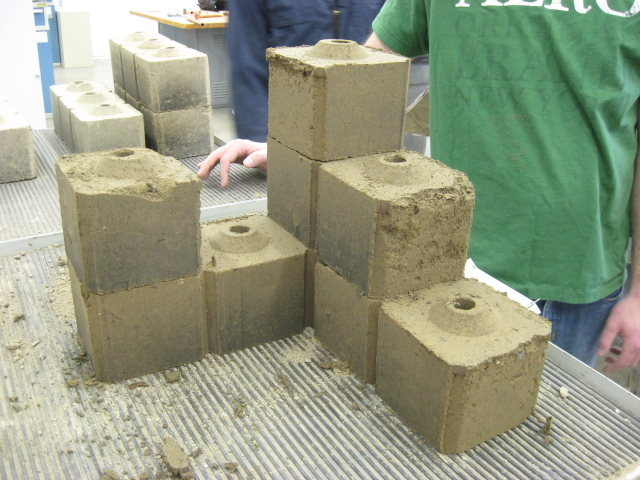 Our design helps by almost eliminating the need for cement powder. It does this in three ways. 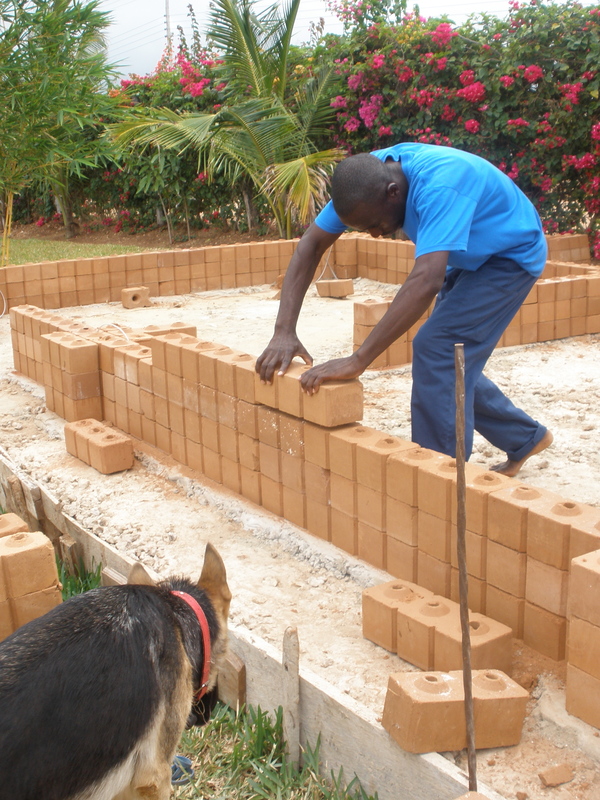 First, typical bricks in Kenya are highly irregular, requiring copious amounts of mortar. Our design is much more uniform than these, reducing the need of a binding layer. Second, Kenyan construction often includes concrete pillars in the corners for added strength and binding of the walls. Our design would still need these for large homes, but it eliminates the need for these pillars in homes smaller than 30’x30′ by giving better interlocking through the corner structure. 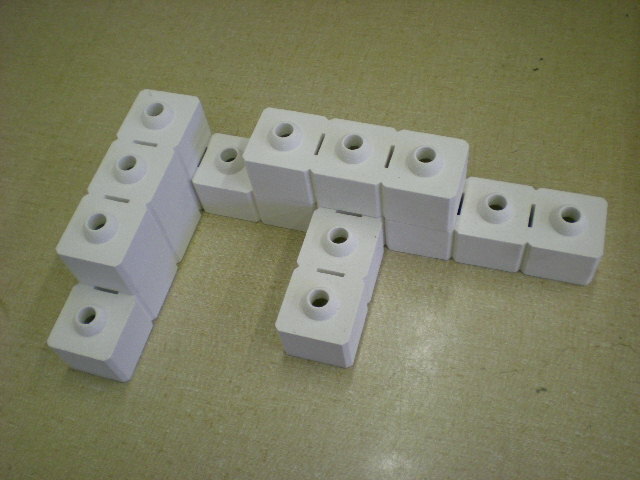 Finally, and most critically, it reduces the need for mortar by interlocking with each other, similar to Legos. The block-making process is simple. 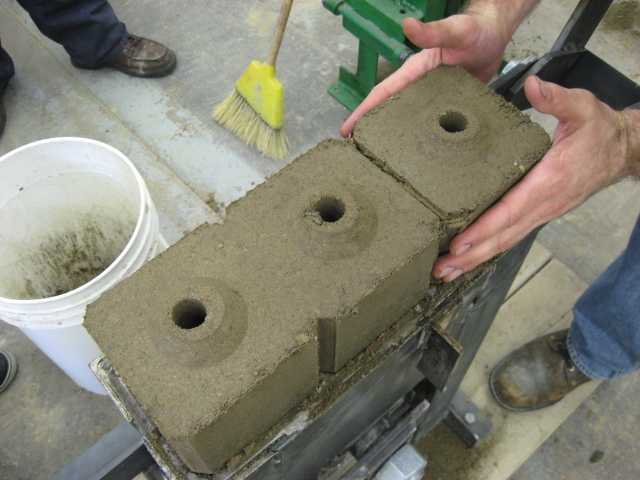 First, you fill the press with a mixture of clay, sand, water, and cement powder (2-5% weight), slam the lid down and compress it. Then you use the same bar used for compression to force it back out of the mold. If you want a split brick, there is an attachment to pre-slide the bricks. When we were still testing, we checked things like accuracy of corners and the like. 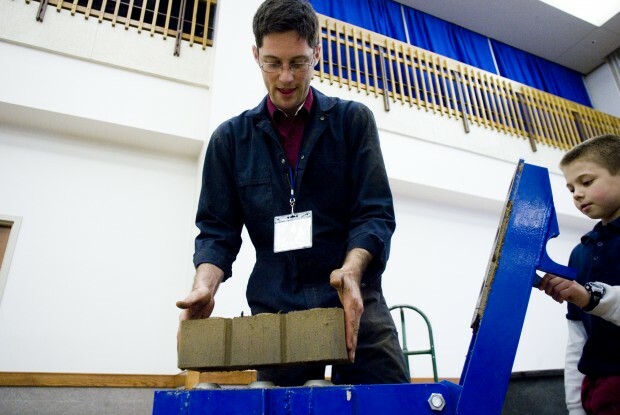 Then you take your brick and very carefully lift it off the press. It is still wet and needs to sun dry for a few hours and then cure for nearly a month. Since the rainy season only occurs for 3 months out of the year in Kenya, there is a very minimal danger that the blocks will be ruined while curing. One of the particularly unique features of the design is that the block has a 3:1 aspect ratio, as compared to the 2:1 ratio usually used. This longer brick allows builders to tie interior walls into the outer wall or use the split bricks to build flush surfaces for windows or doors. The 2:1 bricks do not allow any of these features. 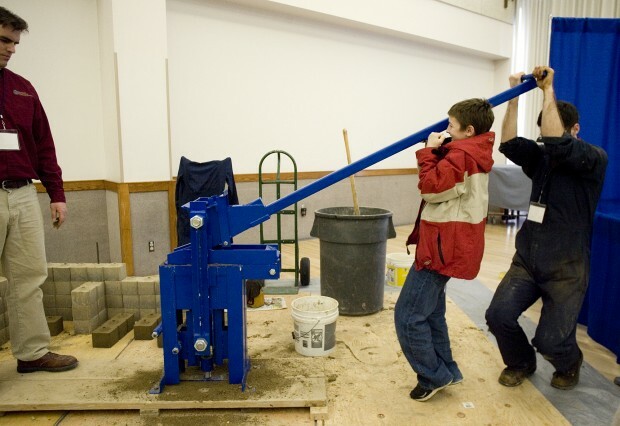 The block press has been used already in Kenya for at least two homes (piloted by Joey Kent). The end result is a handsome brick look with little or no mortar. i’m studing this project, to…..its a great idea on how to ….for the poorest around the world…..
thnaks …and keep up the good work and causes…. thank you for your info, I am from Eld Kenya. where can I find this type of mould? You should check with Louis Pope. He owns the actual mould. If you want the design files, I am happy to send those across.